Shree Conmix Crusher Pvt. 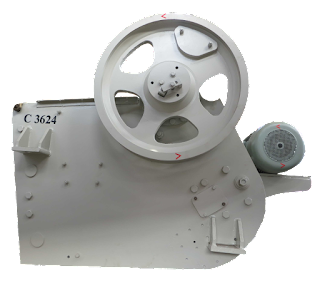 Ltd.
Conmix Jaw Crushers are manufacturing primary crushers, jaw crusher, portable, single toggle and double toggle jaw crusher in Ahmadabad, India, and it is perhaps the most popular crusher worldwide. These compressive crushers are suitable for most any type of material.In this type of crusher, reduction takes place between a stationary jaw plate and a moving jaw plate. How a conmix jaw crusher works and what it is used for ? Shree Conmix Engineers Pvt Ltd. is introduce India’s best and highest selling wide range of Jaw Crusher in Ahmedabad, India. Our Jaw Crushers are designed to exceed the primary needs of customers in the mining, aggregates and recycling industries. And it is also providing Single & Double Toggle Grease Jaw Crushers, Jaw Coal Crushers, Primary Jaw Crusher with special high-quality cast steel components and durable wear parts, means exceptionally high crusher availability, cost-efficient crushing and low cost per ton. Jaw Crusher is based on a revolutionary modular, non-welded frame construction, offering owners the highest possible fatigue strength, excellent reliability and numerous mounting possibilities. Conmix Jaw Crusher is a manufacturer of Jaw Crusher India, Portable Jaw Crusher Unit, Single Toggle Jaw Crusher & Double Toggle Jaw Crusher, Primary Jaw Crusher in Gujarat. India. Jaw Crusher or Single Toggle Jaw Crusher, Portable Jaw Crushers are consists of many parts, like eccentric draft, frame, large belt wheel, mobile jaw, flying wheel, toggle plate, toggle plate, gap adjustment screw and so on. The main function of this Crusher is to crushing large rocks into smaller rocks, gravel, rock dust and gravel to satisfy different requirements for the products. The sample is crushed under high pressure between one fixed and one movable crushing jaw. The grinding parts are available in various steel types, hardmetal tungsten carbide and zirconium oxide to prevent undesired abrasion. This Crusher produced by Shree Conmix Engineers Pvt. Ltd. Motor inside the jaw crusher will drive the belt and belt pulley, forces the mobile jaw to move up and down through eccentric shaft. While the mobile jaw is lifting, the angle between lining plate and moving jaw becomes large, and this will push moving jaw plate close to the fixed jaw plate. During the process of operation, the material is crushed and ground and the crushing will be done. While when the jaw is going down, the angle will certainly become smaller, the moving jaw plate will leave the fixed jaw plate on account of the effect of pulling bar and spring, and then the crushed material will be discharged from the lower opening of the crushing room. While when the jaw is going down, the angle will certainly become smaller, the moving jaw plate will leave the fixed jaw plate on account of the effect of pulling bar and spring, and then the crushed material will be discharged from the lower opening of the crushing room. While the motor is rotating continuously, the mobile jaw will carry out periodical press and discharging and implement mass production. For primary crushing of medium-hard to very hard material thyssenkrupp offers a wide range of efficient and proven single toggle and double toggle jaw crushers. Shree Conmix Engineers Pvt. Ltd. is a famous for Jaw Crusher and Cone Crusher in India which was established in 1990. Our jaw crusher have been sold overseas with its high quality and effectiveness. You are welcomed to contact us via email or phone and we are waiting for your visit at any time. Conmix Single Toggle Jaw Crushers are uses only one toggle plate in its mechanism. Two bearings are fit in the swing jaw of this Crusher and the other two bearings support the eccentric shaft, which is driven by the drive flywheel. An extra (non-drive) flywheel is provided to lessen the power requirement of the prime mover (motor or engine). Being light in size and relatively easy to operate and maintain, the Conmix Crushers are a popular machine for use in hilly terrain and for mobile crushing plants. Conmix Single Toggle Jaw Crusher is generally used where size distribution is not of paramount importance but productivity is to be maximized with lower power consumption. These do not require high operating skill and gap setting is simpler. Also, the maintenance requirement is much lower. Single Toggle Jaw Crushers feature are large gape feed openings, high production and low operating costs. These rugged machines are manufactured with heavy duty parts for constant operation and long life. Typical applications for our single-toggle jaw crushers are in mining, quarrying and recycling. The jaw crushers handle ores, rock, gravel and recycled concrete. Modular Design increasing fatigue strength. Fly wheel design that delivers perfect inertia and least vibration. Interchangeable and reversible jaw plates. Absence of stress inducers such as weld seams assures excellent durability against shock loads. 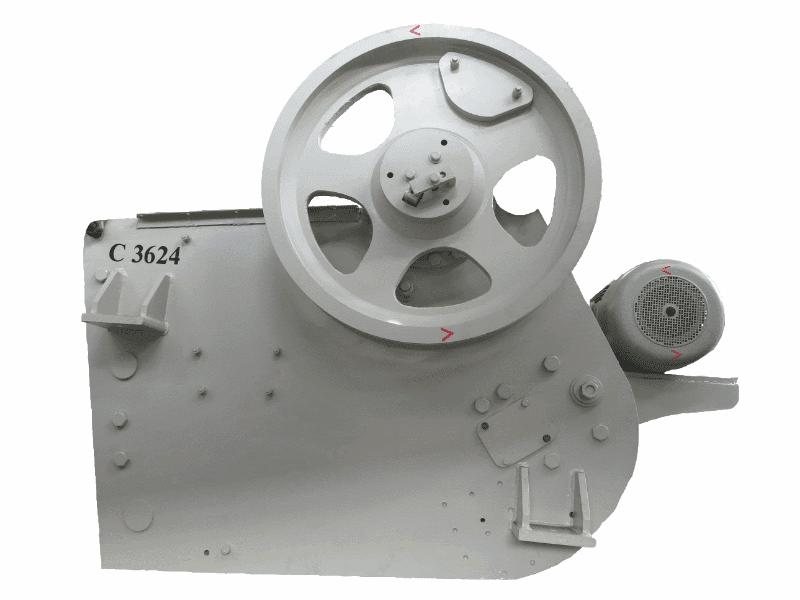 WHAT IS WORKING PRINCIPLE OF JAW CRUSHER ? Conmix Jaw crushers are premium class crushers due to their design as well as to the materials that are used to produce them. Attention has been paid to even the smallest details, so as to ensure the highest possible functionality and reliability, without any compromises. Those who have owned and operated our jaw crushers know that not all jaw crushers are the same! The Working Principle of Jaw Crusher is consists of many parts, like eccentric draft frame, Large belt wheel, mobile jaw, flying wheel, toggle plate, toggle plate, gap adjustment screw and so on. The main function of jaw crusher to crush large rocks into smaller rocks, gravel, rock dust and gravel to satisfy different requirements for the products. Jaw crusher produced by Shree Conmix Engineers Pvt. Ltd. Motor inside the jaw crusher will drive the belt and belt pulley, forces the mobile jaw to move up and down through eccentric shaft. While the mobile jaw is lifting, the angle between lining plate and moving jaw becomes large, and this will push moving jaw plate close to the fixed jaw plate. 1. Modular design increasing fatigue strength. 4. Fly wheel design that delivers perfect inertia and least vibration. 5. Interchangeable and reversible jaw plates. Jaw Crusher , Single Toggle Jaw Crusher, Portable Jaw Crushers are manufacturing and supplying by Shree Conmix Engineers Pvt Ltd.
Jaw Crusher is consists of many parts, like eccentric draft, frame, large belt wheel, mobile jaw, flying wheel, toggle plate, toggle plate, gap adjustment screw and so on. The main function of jaw crusher to crush large rocks into smaller rocks, gravel, rock dust and gravel to satisfy different requirements for the products. Contact Us : +919898522622, 9824079088. Track Mounted Mobile Crushing & Screening Plant Series compact design and agility on track, drives it to lower transport and operating cost of crushing. The chassis design, with good clearance at both ends, enables safe and easy loading onto a trailer. Thanks to the feed hopper’s removable sides the unit is ready for crushing or transport within minutes. Shree Conmix Engineers Pvt. Ltd. is a famous for Track Mounted Mobile Plant in India which was established in 1990. Our Track Mounted Mobile Plant have been sold overseas with its high quality and effectiveness. You are welcomed to contact us via email or phone and we are waiting for your visit at any time. Jaw Crusher is manufacturing and supplying by Shree Conmix Engineers Pvt Ltd. in India. Conmix Crusher is introduce wide range of Jaw Crusher. These Crushers are designed to exceed the primary needs of customers in the mining, aggregates and recycling industries. This Crusher are amongst the most advanced and reliable in the market and are highly productive in a variety of applications. The Jaw Crusher is based on a revolutionary modular, non-welded frame construction, offering owners the highest possible fatigue strength, excellent reliability and numerous mounting possibilities. Shree Conmix Engineers Pvt. Ltd. is a famous jaw crusher in India which was established in 1990. Our jaw crusher have been sold overseas with its high quality and effectiveness. You are welcomed to contact us via email or phone and we are waiting for your visit at any time. 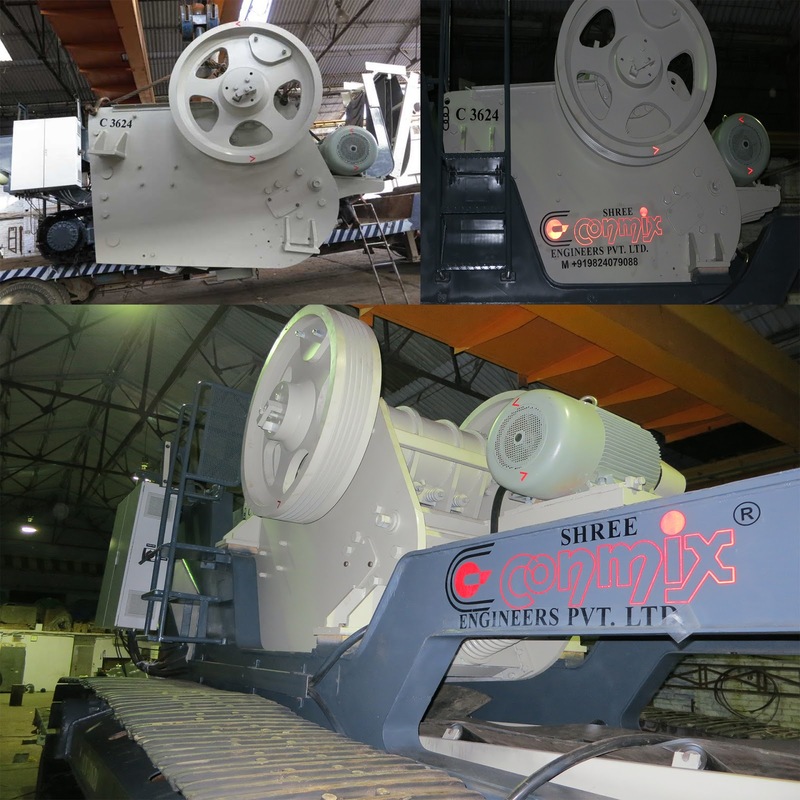 Shree Conmix Engineers Pvt Ltd. is Providing Single & Double Toggle Grease Crusher, Coal Crushers with special high-quality cast steel components and durable wear parts, means exceptionally high crusher availability, cost-efficient crushing and low cost per ton. What is Cone Crusher And What Is Working Principle Of cone Crusher ?